Heat the fry pan to high. 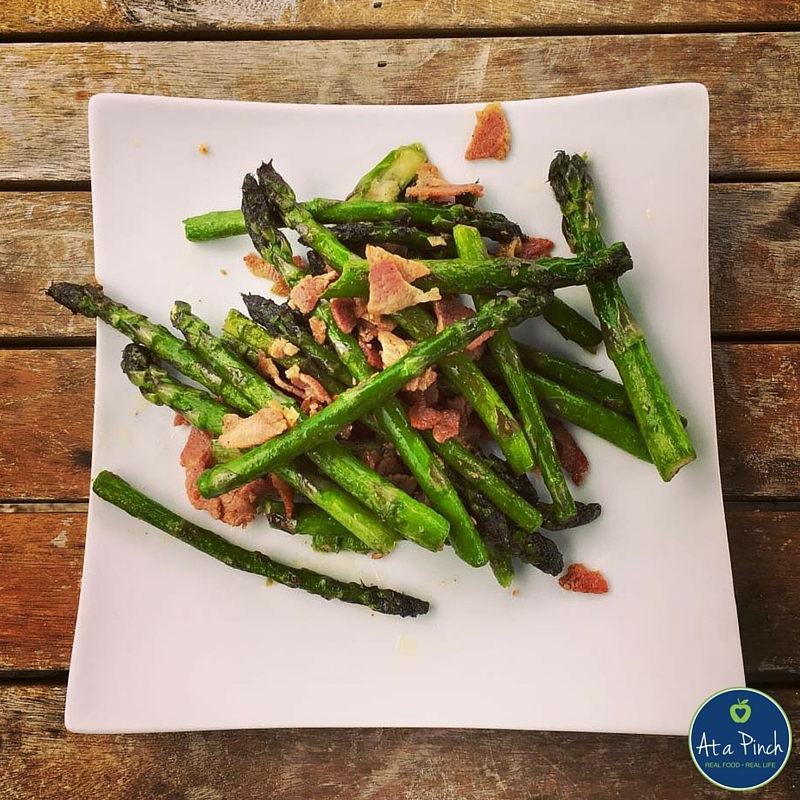 Break the ends of the asparagus off. Toss in olive oil, pepper and salt. 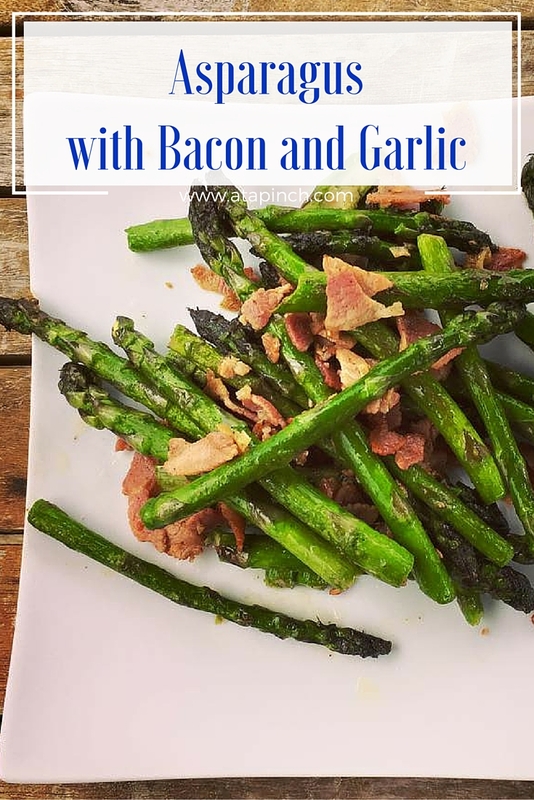 Add the asparagus, bacon and garlic to the frypan and regularly toss for 5 minutes.